Jan. 16, 2017, 1:40 p.m.
RUSSIA and China have expressed their readiness to partner Ghana to become a net exporter of power in the West African sub region by investing in nuclear power plants in Ghana to supply cheap power, resolve reoccurring power cuts and export power neighbouring countries. 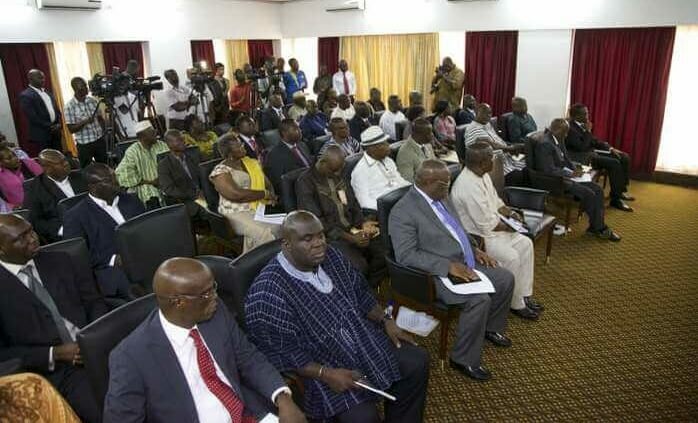 Embarking on the projects is expected to significantly boost economic growth as about 50% of materials for construction would purchased locally, export of the power would bring in foreign exchange while creating thousands of direct jobs for Ghanaians as well as overcome energy shortage, as well as provide a necessary impetus for economic development in the country. The Director-General of the Ghana Atomic Energy Commission (GAEC), Professor Benjamin Jabez Nyarko, who disclosed this to The Finder in an interview, explained that state-owned nuclear authorities of both countries have proposed innovative funding mechanisms. According to him, Russia and China chose Ghana because of the peace and stability the country enjoys. He revealed that Ghana has achieved success in all the 19 infrastructural issues to be considered prior to the commencement of the operation of a Nuclear Power Programme (NPP). Consequently, he said a 10-member delegation of experts from the International Atomic Energy Agency (IAEA) have arrived in the country and will, today, commence the review the 19 infrastructural issues. Then on January 23, 2017, the experts will make known their assessment and recommend the way forward. The Integrated Nuclear Infrastructure Review (INIR) Mission comprises experts who have direct experience in specialised nuclear infrastructure areas as well as specialised IAEA staff. Prof. Nyarko was optimistic that Ghana would pass the test for the first phase since Ghana has ratified all but three conventions that govern new power. He noted that the remaining three would be put before parliament and hoped that by the end of this year, Ghana would complete everything on the first phase and commence the second phase in 2018 and that includes, finding a vendor, undertake bidding and the bid winner would commence construction. He said it is estimated that the cost of constructing 1,000 megawatts of nuclear power plant ranges between $4.5billion to $6billion depending on the cost of labour and materials purchased locally in the host country. He added that 1,000 megawatts nuclear power plant will provide 1,000 direct jobs while indirect jobs are also in thousands. On the other hand, he disclosed that Russia’s state-owned nuclear company is ready to fund the plant to export cheap power to neighbouring countries. Prof. Nyarko said strategies such as Build, Own and Operate as well as Build, Own, Operate and Transfer are also on the table for consideration. He stated that the construction of a nuclear power plant takes between three and six years to complete irrespective of the size. He explained that Ghana has more or less completed the first of the three phases of the International Atomic Energy Agency (IAEA) required milestone for every newcomer country to achieve before the development of a national infrastructure for nuclear power. He said the other two phases involve the preparatory work for the construction of a nuclear power plant after a policy decision has been taken and finally ensuring activities to implement a first nuclear power plant. He stated that the 19 infrastructural issues include: the national position, nuclear safety, management, funding and financing, legislative frameworks, safeguard issues, radiation protection, regulatory frameworks, electric grid, and human resource development. The rest are stakeholder involvement, site and supporting facilities, environmental protection, emergency planning, security and physical protection, nuclear fuel cycle, radioactive waste, industrial involvement as well as procurement issues. He said all the necessary legislations and regulatory frameworks, including the passage of the Nuclear Regulatory Bill that established the Ghana Nuclear Regulatory Authority, as well as the Ghana Nuclear Power Programme Organisations, which was tasked to coordinate, oversee and administer the phase to phase implementation of the Nuclear Power Programme, have been achieved. Prof. Nyarko mentioned other activities as infrastructural issues, especially with regards to human resource capacity development, funding and financing, electric grid, siting, emergency planning, managing the nuclear fuel cycle as well as radioactive waste, among other safety measures, were also being diligently pursued. He said building on the country’s documentation on an earlier self-evaluation the mission team would review the infrastructure status through interviews with the various subject team leads, site visits and document reviews, and make suggestions and recommendations in a report to the country, enabling it to address the identified gaps if any, in accordance with the national action plan. Prof Nyarko said although nuclear energy offers the opportunity to grow greener economies, and provides a cheaper and sustainable alternative to other sources of power for both domestic and industrial uses, the country was not in a rush to compromise on safety standards in spite of these benefits but would follow the required procedures to ensure the achievement of a comprehensive Nuclear Power Programme. Despite safety fears, over 45 countries, ranging from sophisticated economies to developing nations, are actively considering embarking upon nuclear power programs. Despite the large number of these emerging countries, they are not expected to contribute very much to the expansion of nuclear capacity in the foreseeable future because the main growth will come in countries where the technology is already well established. However, in the longer term, the trend to urbanisation in less-developed countries will greatly increase the demand for electricity, and especially that supplied by base-load plants such as nuclear. The pattern of energy demand in these countries will become more like that of Europe, North America and Japan. The decision to embark on a nuclear power program is to be based on a well-defined and informed national position that is founded, among others, on sound energy planning, government commitment and an informed and accepting public. This is one of the critical factors that determine whether a country makes a knowledgeable decision to proceed with the development of a nuclear power program in a safe, secure and peaceful manner. The results of this infrastructure issue critically affect the rest. Nuclear safety involves commitments by all elements of the government, owner/operator, regulatory body, nuclear technology and equipment suppliers and other organizations to ensure safety in all aspects of the nuclear power programme. It includes the development of a safety culture in all relevant agencies in addition to establishing interfaces between nuclear safety, nuclear security and safeguards. This involves the development of effective management and implementation requirements for both the country’s nuclear power programme, and the first nuclear power plant project within that programme, in addition to regulation. This addresses the funding requirements required to support the entire nuclear power programme, and the study of options available for the financing of the country’s first nuclear power plant. 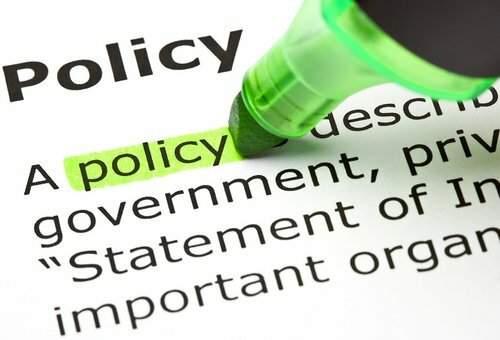 The legal framework for nuclear power aids to establish the responsibilities of all organisations (regulatory authority, owner/operating organisation) necessary for a successful nuclear power programme. This includes ratifying and establishing all the international legal instruments that the country needs, as well as developing all relevant local legislation that nuclear law will interface with. This includes all preparatory requirements and capabilities needed for the country to meet its international safeguard obligations. Safeguards refer to the safety and security of nuclear material. This relates to the development of the technical capabilities of the regulatory body, and in particular, the development of competent human resources for evaluating regulatory compliance and nuclear safety issues involved in all aspects of the nuclear power programme. It also involves the development of regulations, requirements and guides for the nuclear power programme. This covers the development of radiation protection programmes to cover nuclear power plant operation, transport, storage and waste management. This also covers radiation protection of workers and the public from the dangers of ionizing radiation. This involves an assessment and upgrade of the country’s electrical grid to make it capable of supporting a chosen nuclear power plant size. It also includes the analysis of grid system expansion approaches that would make the nuclear power a more cost-effective and reliable option. This involves the development of generalized and specialized training programmes over the life-cycle of a nuclear power plant for various personnel. It includes the establishment of an effective national HRD strategy, and is critical component of the nuclear power programme. This issue involves the deployment of an open information/communication programme about nuclear power in order to establish and maintain public confidence and strong government support. This covers all work required to cover the life-cycle of nuclear power plant siting. It includes several forms of analysis and studies and is generally performed in a stage-wise approach. It generally leads to the choice of a preferred site for the country’s 1st nuclear power plant, in addition to the continuous re-evaluation of the site during operation. Environmental protection deals with minimizing the impact of plant siting and operation on the environment. It includes the assessment of small releases of gaseous and liquid radioactive effluents during normal plant operation on air quality, as well as impact of plant operations on land use, water use, water quality, etc. Nuclear security refers to the development of programmes and activities regarding the prevention of, detection of, and response to, intentional unauthorized acts related to nuclear and other radioactive material. This refers to all activities required to ensure the establishment of a complete nuclear fuel cycle system, from both front end and back end considerations. This includes the development and establishment of management and disposal programmes particularly for the entire spectrum of radioactive waste, including both low and intermediate level waste associated with nuclear power. This relates to the development and establishment of programmes to ensure active participation in the nuclear power plant project by the local industry. This includes developing training programmes that assist and facilitate the development of local industry to be capable of complying with nuclear codes, standards and quality requirements. Procurement as an infrastructural issue involves the development of specialised quality and environmental qualification stipulations and design standards which will be included in contracts or in bid specification documents. The Government of Ghana in May 2007 set up a Presidential Committee to advise Government on the potential use of nuclear energy for power generation in Ghana, in order to permanently solve the perennial electricity crisis that has bedeviled the country since the ‘80s. Following the six-month study, Government decided in 2008 to include nuclear energy into the country’s energy mix. Nuclear power development activities that had at the time ramped up, however, dulled due to a change in government and policy direction. Notwithstanding, in 2012 the Ghana Nuclear Power Program Organization (GNPPO)under the auspices of the Ministry of Energy was formed with the mandate to see to the development of the country’s nuclear power programme. The GNPPO is composed of both an advisory and technical group, and has as its Chairman the Deputy Minister of Energy/Power, and as its Vice-Chairman, the Director-General of Ghana Atomic Energy Commission (GAEC). The GNPPO as a multi-sectorial and interdisciplinary body was faced with coordination and focus challenges in its initial years. As such, in February 2014, the GNPPO set up the Nuclear Power Centre (NPC) at GAEC as the technical arm of the GNPPO, to solely focus on the programme’s development. In 2016, the NPC was upgraded to a full-fledged institute of GAEC. In addition, in late 2015, the country’s comprehensive nuclear law was passed into law, resulting in the Nuclear Regulatory Authority (NRA) being established in January 2016. 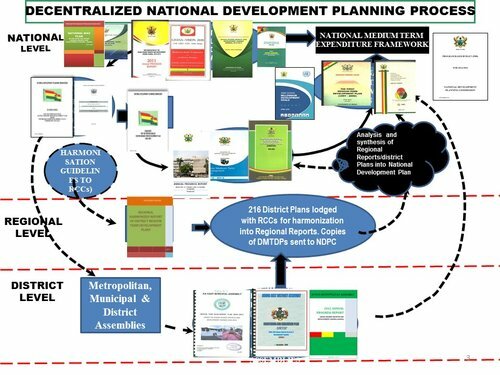 The NPI, NRA are related GNPPO stakeholders such as the Volta River Authority, Ghana Grid Company, etc., have worked assiduously in the development of the relevant Phase 1 programme activities. Prime among these is the Nuclear Power Roadmap document that sees the country add nuclear power to its energy mix within fourteen (14) years taking 2015 as a base year. • Phase 1 is expected to take 3 years to complete, and involves the preparation of a comprehensive report on all the IAEA identified 19 nuclear infrastructure issues to enable the country make a knowledgeable decision to proceed with the development of nuclear power programme. • Phase 2 is expected to continue for 5 years and involves the preparation of all project feasibility and contracting studies for the country’s first nuclear power plant. • Phase 3 is the construction and commissioning stage, and it is expected to takes 6 years to build a nuclear power plant for commercial operations that has a lifetime of over 60 years. The GNPPO considers the Integrated Nuclear Review Mission by the IAEA as a significant milestone in the development of the nuclear power programme in Ghana. The organization therefore thanks all its members, stakeholders and international partners who have worked in diverse ways to make this Mission possible. Again, we say Ayeekoo, and wish to note that this is just the beginning of a long-standing association, which would see our beloved country enjoy stable, reliable and cheap power for national enjoyment and development. In December 2015, the Ghana Atomic Energy Commission (GAEC) acting on behalf of the Ghana Nuclear Power Programme Organisation (GNPPO) requested the International Atomic Energy Agency (IAEA) to carry out a Phase 1 Integrated Nuclear Infrastructure Review (INIR) Mission in Ghana which the IAEA agreed to conduct in January 2017. The INIR service is designed to assist a Member State, upon its request, in evaluating the status of their national infrastructure for the introduction of a nuclear power programme or the expansion of an existing one. The INIR service is coordinated and led by the IAEA and conducted by a team of IAEA staff and international experts drawn from Member States who have experience in different aspects of developing nuclear power infrastructure in a safe, secure and sustainable manner. The first INIR mission was conducted in 2009, and so far, twenty-one (21) of them (Phase 1 or Phase 2 or a Follow-up of a previous INIR mission) have been conducted in 15 Member States. Of these, four (4) were in Africa: namely, South Africa (2013, Phase 2), Nigeria (2015, Phase 2), Kenya (2015, Phase 1), and Morocco (2015, Phase 1). The Ghana INIR mission and associated activities are supported by the Government of Ghana and the IAEA through the national Technical Cooperation Project GHA2003 “Establishing Nuclear Power Infrastructure for Electricity Generation (Phase III)”. The INIR mission seeks to perform an independent and objective review of the status of the 19 nuclear infrastructure issues in Ghana for Phase 1 of the programme, and is not intended to be an external audit or endorsement of the country’s nuclear power programme. Its main goal is to help Ghana determine the status of its nuclear power infrastructure and identify areas needing further action and assistance, and thereby assist Ghana and its programme partners to focus on needed actions to enable the achievement of the Phase 1 milestone. The INIR service consists of 4-steps, namely: 1) The preparation of a Self-Evaluation Report (SER), and if required the conduct of a SER support mission; 2) the conduct of a Pre-INIR mission; 3) the conduct of the INIR mission; and 4) the Follow up to the INIR mission. Ghana’s initial SER was submitted in early April 2016 with associated supporting documents, and a SER support mission and a Pre-INIR mission were conducted in August 2016. Based on comments from the SER support mission, Ghana’s SER was revised and re-submitted with supporting documents in early December 2017.